1. 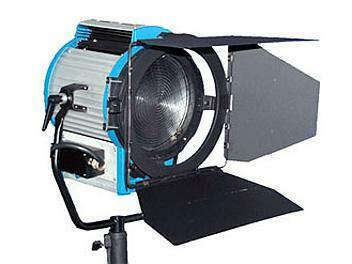 Studio Fresnel Spotlight features high illumination,even gradual-changing beam,evident light spot and flood,compact structure and aesthetic configuration etc. Small volume,light weight and high efficiency of illumination.It is especially suitable for small and medium size studio & film rooms with limited area and height. 2. The light body adopts anti-erosive aluminium alloy material.International standard socket of GY9.5,G22,G38 that are compatible with the lamp-house of other brands product. 3. The short-focus & wide-angle lens provides much better brightness output and brightness distribution.